The presented room availability, rates and discounts are actual and final for all our 382 hotels in Dusseldorf. 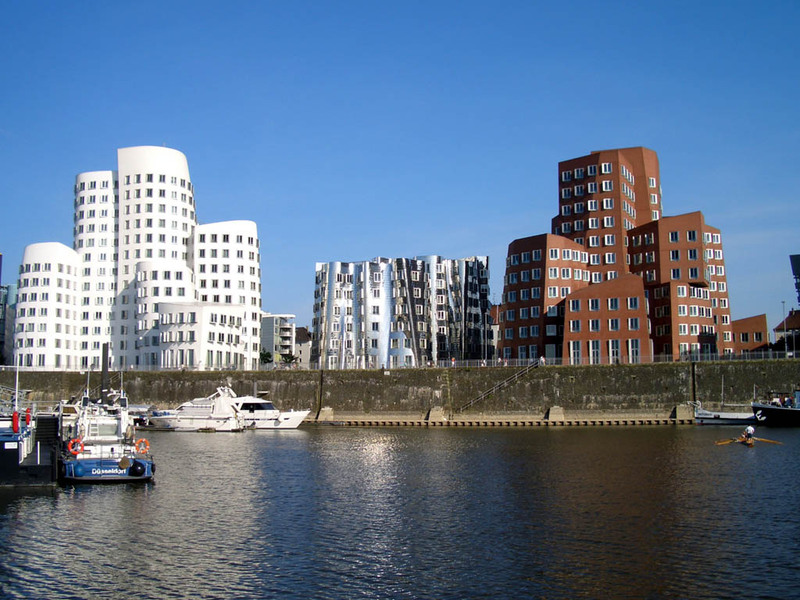 It’s really hard to choose the most interesting entertainment of Dusseldorf, because the city offers a lot of interesting opportunities for rest. A visit to Rhine Tower will surely leave a lot of pleasant memories. The tower is known as the tallest building in the city. The height of the tower is 240 meters, and its top is equipped with an excellent observation platform that provides adorable panoramic views of the city. Tourists with children are recommended to visit Water Zoo, which will introduce its visitors with diversity of inhabitants of the underwater world. Tours are held in the form of informative lectures that will be interesting to listen for both adults and children. The territory of the zoo includes even a tropical forest with exotic plants. Butterflies and birds are the main inhabitants of this exotic area. There is also an artificial lake in which crocodiles live. 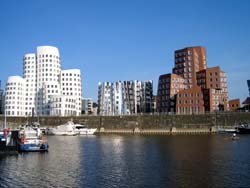 Travelers who plan to rest in Dusseldorf in summer have an opportunity to make a cruise on the Rhine. Beautiful boats ply along the river starting from early morning till late evening. During such a ride visitors are welcome to enjoy various sights, which are located close to the bank and listen to interesting stories of a guide who will tell about the most important tourist attractions. Fans of shopping will definitely enjoy a huge selection of fashionable clothes and branded watches that can be found in local trading centers. Female visitors are recommended to visit the store called Fashion Clinic that offers clothing, shoes and accessories by leading brands. When it comes to describing major shopping centers, we simply cannot fail to recommend Schadow Arkaden, Sevens and Stilwerk - choice of clothing, perfume, jewelry and souvenirs in any of them is simply huge. Schadowtstraß is another attractive shopping street. Tourists will find there amazing shopping pavilions and boutiques of different directions right at every step.